EXHAUST MANIFOLD 12V 1994-1998 Dodge Cummins 12V. 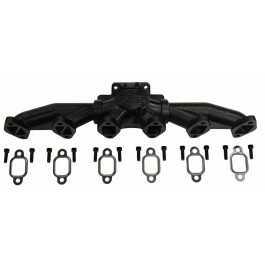 The DPS 3-Piece Manifold for the Dodge Cummins engine is both a great performance manifold and a factory replacement manifold. We've designed this manifold to increase turbo spool-up, and increase exhaust gas efficiency.